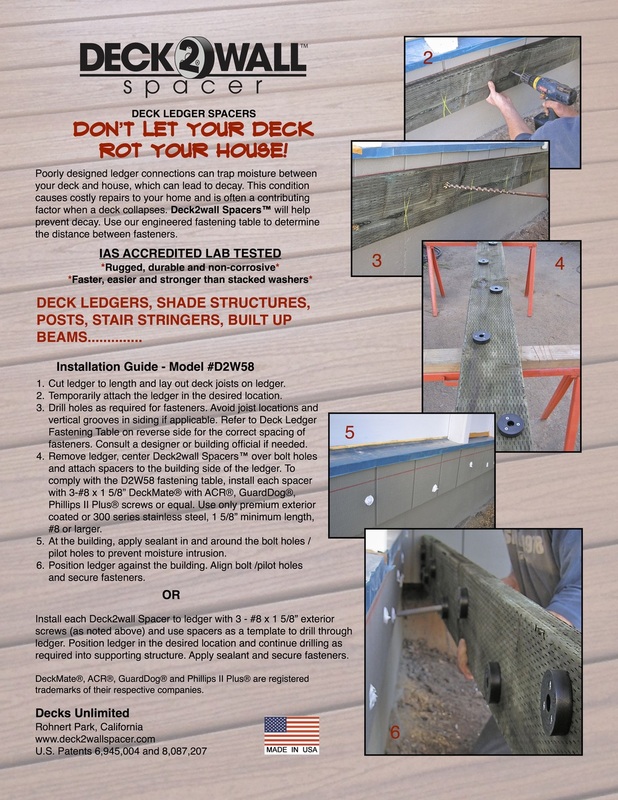 Prevent rot from occurring at deck ledger connections by using Deck 2 Wall™ Spacers. The plastic spacers provide a space for water and debris to flow harmlessly through the assembly. The space between the ledger and house helps prevent the accumulation of moisture and promotes circulation and drying.